Super League round seven gets underway this week and we are in store for some of the biggest match-ups yet. This contest will see two quality back-rowers come head-to-head. Ashurst’s Wakefield are pulling up some trees in 2019 and are certainly doing themselves plenty of favours. Their expansive play and brave attack has resulted in them coming away with some impressive results, the latest of which came against Hull FC. 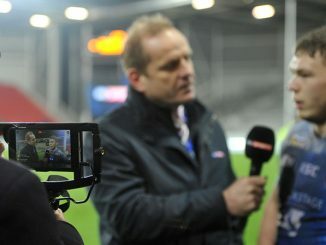 Currie’s Warrington have also been sensational at times this year and sit just shy of St Helens at the top of the table. 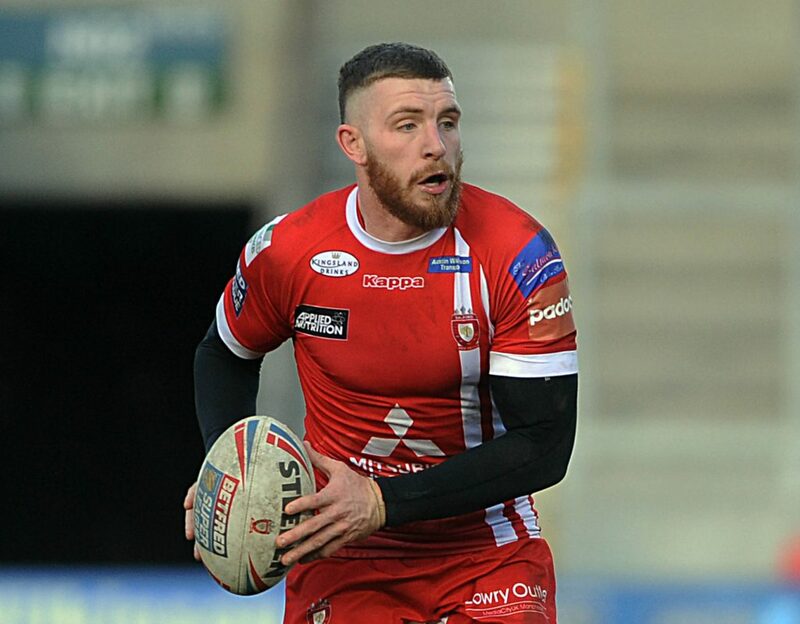 Ashurst has played very well so far this season and has two Steve Prescott Man of Steel points to show for his hard work. Currie also shares this statistic and since making his long-awaited return from injury, he looks to be as good as ever. The winner of this game between Trinity and the Wolves will certainly be influenced by which of these two men have the better game, but who will it be? Huddersfield’s giant Ta’ai will be up against Hull KR’s man mountain Masoe, and we are surely in for a treat. The Giants have struggled for form so far in 2019, much of this being attributed to a lack of first-team personnel being available for selection. Despite this inconsistency, they did prove they have what it takes to put an 80-minute performance together when they went to the home of the champions, Wigan, and came away with two points. Hull KR have fared somewhat better, but also struggle with inconsistency. Their competitiveness has been clear to see and the feeling of ‘when it clicks, it will click’ radiates from the KR camp. Ta’ai has made four appearances so far this year, making 271 metres from 39 carries. Masoe, on the other hand, has played every game so far and has 553 metres from 66 carries. Which big man comes out on top this weekend? Another week, another spectacular contest between the game’s brightest hookers. 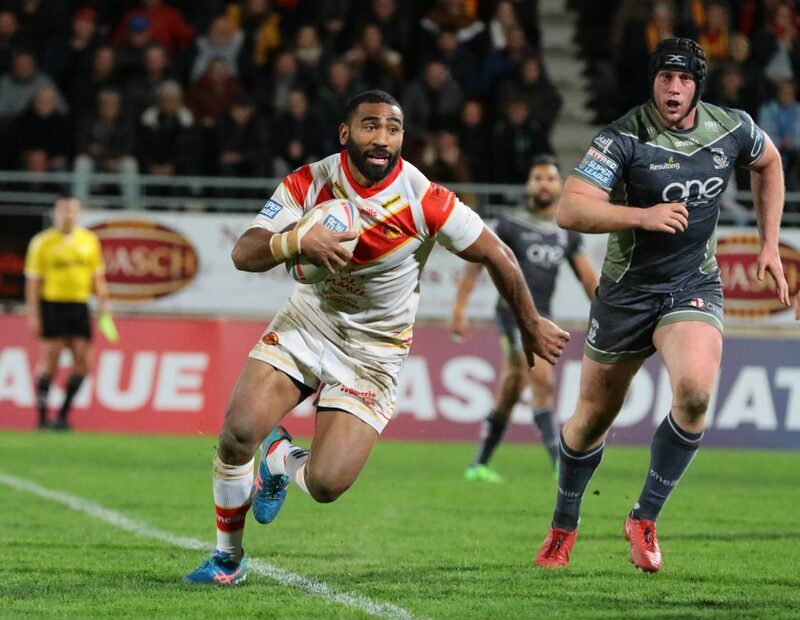 McShane has once again caught the eye of the rugby league world with his sensational form, whilst Roby is doing what Roby does every year in being one of the best. McShane’s Tigers have started well this year and look like they will easily fit within the final five come play-off time. 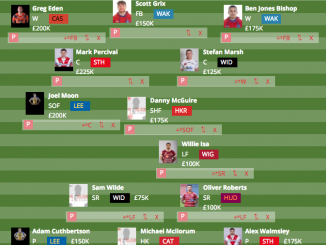 Roby’s Saints also look good and sit at the top of the pile, being the only team left in Super League who remain undefeated in 2019. McShane has played in all six rounds, making 377 metres from 51 carries, assisting six tries and scoring one. Roby has played a game less than his counterpart, but has still made 480 metres from 55 carries, assisted four tries and scored three. Both men have incredible statistics and a bucket-full of heart. 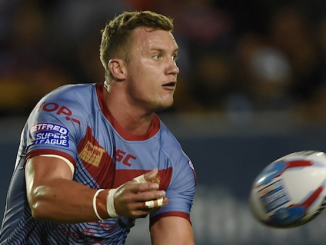 It will be an intriguing test of the centres when Catalans host Leeds this weekend. Langi’s Catalans have struggled to build any consistency this season, looking awful one week and brilliant the next. Their huge 46-0 loss to Salford a testament to that. Hurrell’s Leeds look no different and despite some encouraging signs, look short of the quality they possess. Individually though, both players have started 2019 well. 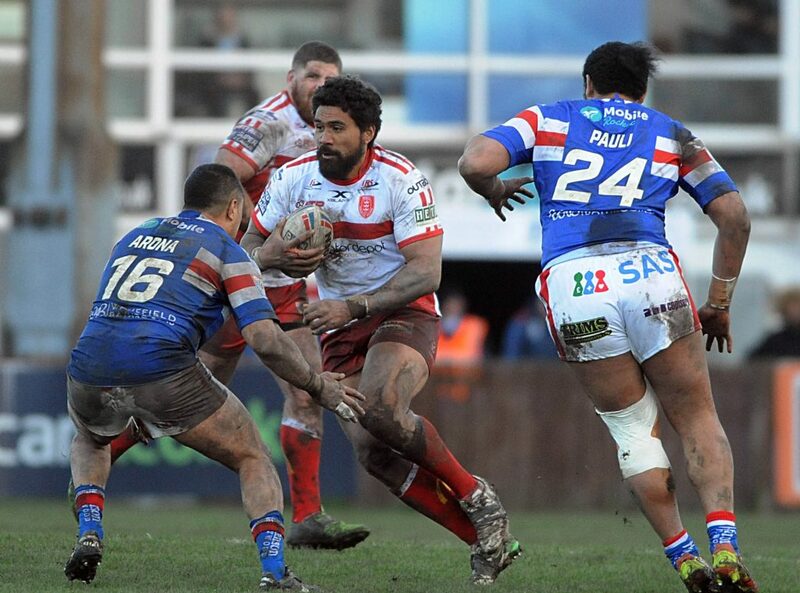 Langi came away with three Man of Steel points from last week’s win against Hull KR. Hurrell has only the one Man of Steel point but will surely looking for more when the sides meet this weekend. Another battle of the nine is London’s Pelissier against Hull FC’s Houghton. London seem to be making a habit of upsetting the odds and with wins over Wakefield, Wigan and now Leeds under their belt, they surely believe any team is there for the taking in 2019. 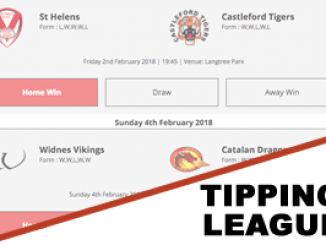 Hull FC on the other hand started the year slowly but quickly turned around their fortunes and look to be a side that will compete for a top five spot. Pelissier helped the Broncos earn promotion last year and has continued to aid his side’s fortunes in 2019. With only two starts and four appearances off the bench, it is clear to see that the tactic is to utilise him against tired legs. Pelissier has one man of the match award in 2019 and will look to earn another this weekend. Houghton, on the other hand, has started all games for the Black and Whites, scoring a single try but earning two man of the match awards. His impressive stats come in the form of his tackle count, with a mammoth 316 tackles in just six games. Who will help their team to success this Sunday? Half-backs are often the key to winning a game, so will that be the case when Salford host struggling Wigan? Hastings has been a revelation in Super League since he arrived at the Red Devils, and looks to be having the best of times in Salford. Williams has looked good in patches but with a move to the Canberra Raiders being strongly linked, his form has taken a dip. 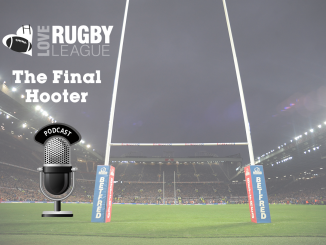 Salford look to be a side in contention for a play-off place comes the season’s twilight and at the very least look to be the entertainers of 2019. Wigan have failed to put in 80-minute performances and despite being well within games, have only two competition points to their name. Hastings sits on five Man of Steel points and will surely be in contention for some more this Sunday. Williams has three of these points himself but will surely prioritise the match points over any individual accolade. Who will help their side to victory when the two sides meet?